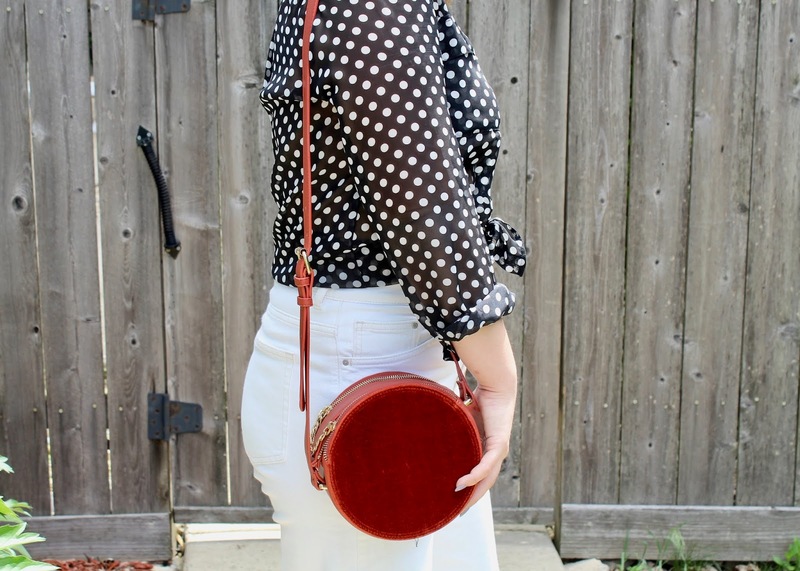 I had been on the hunt for denim culottes for a while now, but since I didn’t know how long this trend would be around, I did not want to spend $100+ on a pair. 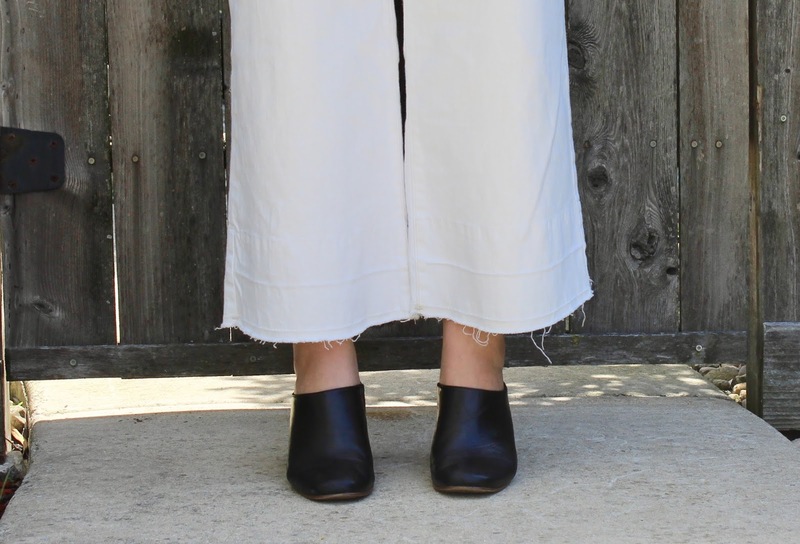 Recently at work, one of my coworkers was wearing a great pair of white culottes and I asked her where they were from. She told me that she got them from H&M for $30. After work, I immediately headed to H&M and got not only the white, but also the regular blue denim pair as well. I have been wearing the two pairs non-stop. 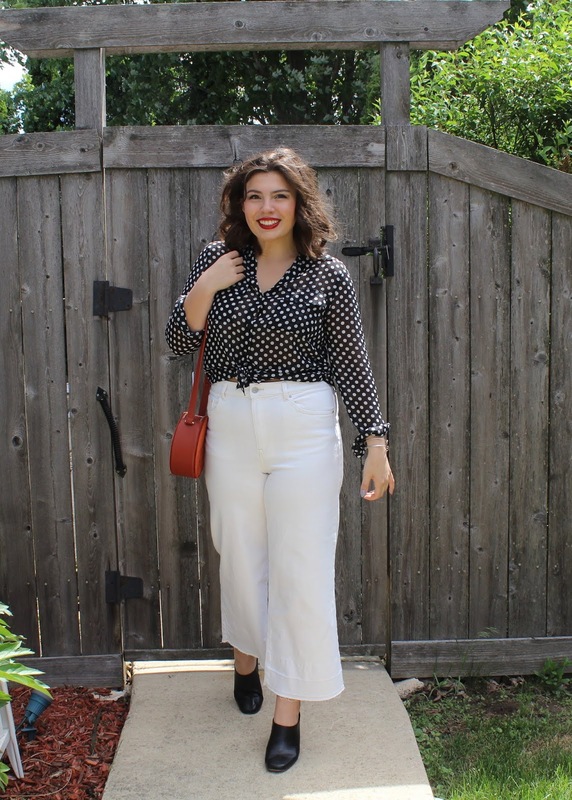 For this outfit, I thought it would be cute and classic if I paired it with this polka dot button down and a red lip. 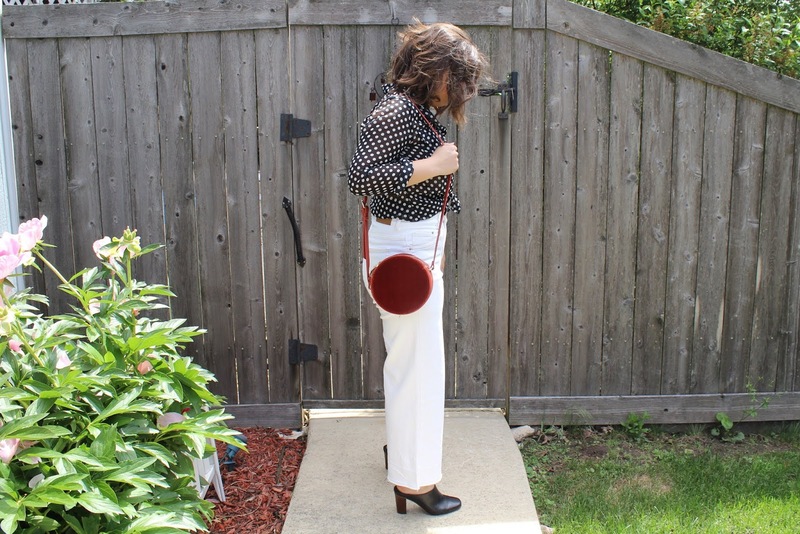 I also decided to wear this red bag to add color and another “dot” to my outfit. I love these mules. 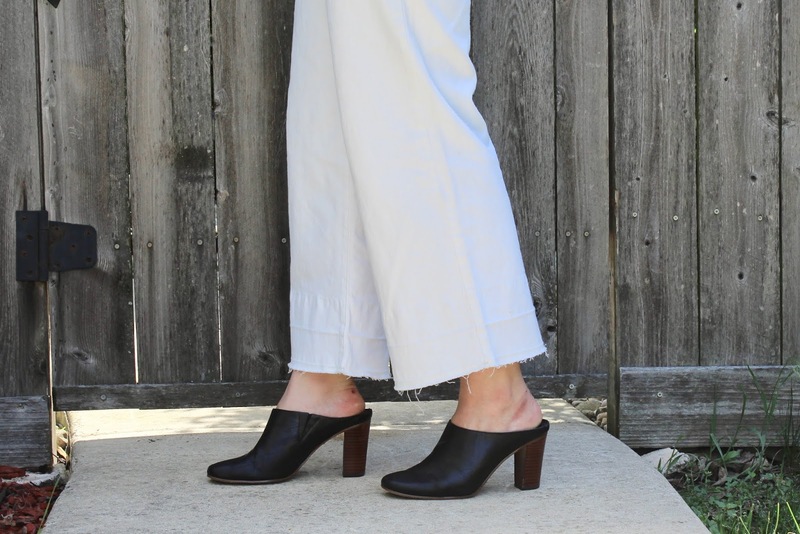 They are a simple way to dress up a summer outfit and the block heel makes them super comfortable to walk around the city in. This shot also shows the frayed hem of the jeans that I adore.